Every driver knows the feeling of driving beneath a highway overpass, to then be surprised by a camera hidden sneakily on the other side. Were you going too fast? Or were you within the limit? Did a flash ruin your day? Or did you coast on by? There are lots of different opinions on speed cameras. Some people say that they are nothing but a tool for revenue raising. Others call them an important public safety measure. No matter one’s position, most of us know what it feels like to open the envelope containing news of a costly mistake. Here at Jim’s we hope that you always drive safely, but if you do find yourself on the wrong end of a speed camera, don’t reach for your wallet quite yet. If you are normally a careful driver, but have made an uncharacteristic mistake, you might be able to appeal the fine and get off with a warning. Yes, that’s right. Writing a letter could get you out of your fine. This time. If you are doing less than 10km’s over the limit and HAVE NOT been booked in the last 2 years. Write them a letter. If you are doing less than 15km’s over the limit and HAVE NOT been booked in the last 3 years. Write them a letter. You might well get out of it. The criteria for judging speeding fines are unknown to the public, but if you fulfill either of the above criteria, then you’re at least in with a chance. These provisions are not widely known, and naturally, the government isn’t going to advertise them. Some groups are trying to mount pressure to get the government to set out the rules of appeal, and the criteria that determines whether fines, or warnings, are administered. Still, don’t count on that happening any time soon. Protip: Remember, being abusive or denying any wrong doing won’t help your case. After all, they have you on camera. When it comes to getting out of fines, a little humility can go a long way. In the meantime, we hope these hints have been useful. Are you a Holden or a Ford? Or neither? 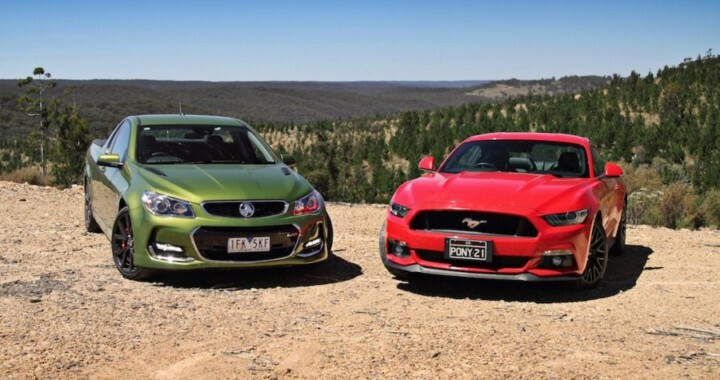 There was a time when the side you chose in the Holden Vs Ford contest could make or break friendships, but that battle may now be a thing of the past. The new battle, according to Aussie consumers, is the Mazda 3 Vs the Toyota Corolla. Two cars that we’ve decided offer the best value for money going. Last year in 2014, Mazda sold 43, 313 cars to Australians, just losing out to Toyota, who managed 43, 735. The Toyota Hilux came in 3rd with 38,126 models sold. Holden and Ford came in at 5 and 6 with 30,203 and 26,619 respectively, so you die-hards needn;t to worry, they’re not out of it yet.